If so, let us help you make the most of it by complementing it with trips to more than one island. Doing so will turn your vacation into an experience that you’ll never forget. This is because each island has it own unique set of things to see and do. As an example, the Big Island has one of the world’s most active volcanoes. The Garden Island of Kauai has the majestic Na Pali Cliffs which many Hollywood blockbusters have incorporated into their story. Maui has the ilylic Hana Highway and the amazing Haleakala National Park. 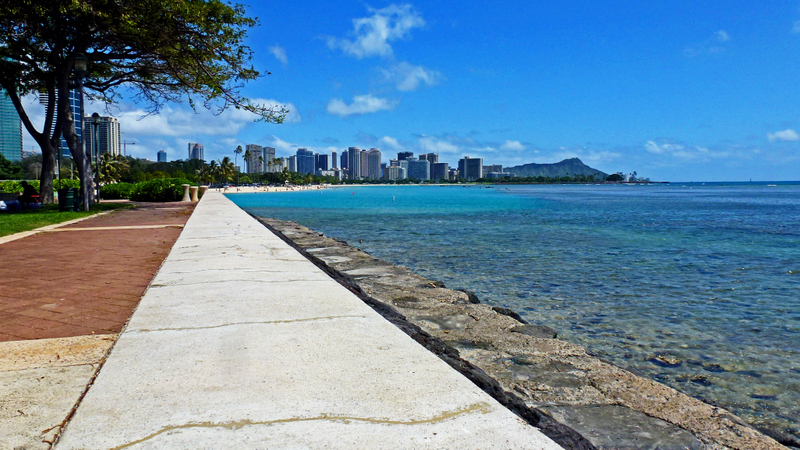 While Oahu has Hawaii’s capital city of Honolulu and Waikiki, one of the world’s most desired travel destinations. Another plus, for making Hawaii travel plan is that any time is a good time to visit the Aloha State. Except for high mountain peaks, Hawaii has great temperate weather. For the most part, it’s neither excessively hot or cold. Its nicely warm climate with cool trade wind breezes make Hawaii the ideal locations for outdoor activities and going to the beach. And Hawaii’s mix of Asian, Polynesian and European cultures make it a unique among American states. Expect to experience a wide variety of cultural and food experiences while being in Hawaii. As a result, your dining experiences will be diverse as they will be delicious. On our Panda ® Online website you’ll find some of the most affordable flights and packages to and around Hawaii. including a memorable inter island vacation to Kauai, Maui, Molokai, Lanai or the Big Island. Cheap flights to or between the Hawaiian Islands do not mean a cheap experience. But they’ll save you money that then be spent on fun things like a luau, sightseeing, boat rides or a hiking tour. Let Panda ® help you put together a Hawaii travel package that will meet all your needs and budget.